Try these Word Beads that we have created. These are are great for exercising your brain. Word Beads focus on thought organization, problem solving, reasoning, memory skills, thought flexibility, and executive function. By incorporating brain fitness activities into your life, you are taking positive steps toward healthy aging while improving your brain function and overall thinking skills. Healthy aging and longevity include building brain power through use of brain or neuro plasticity to create your cognitive reserve. These activities are necessary to help stave off the development of Alzheimer’s Disease and dementia. Don’t forget about the physical exercise component as well! Physical exercise and a healthy diet aid in decreasing the risk for developing other diseases such as diabetes, depression, high blood pressure-all of which have been linked to memory impairments. It is so important to remember that we must take care of and maintain of brains and bodies to achieve a long and healthy life. Remember, if something is good for your heart then it’s good for your brain, and if it’s good for your brain then it’s good for your heart. Everything works together in harmony to keep us healthy. Here are some useful tips to keep in mind: drink water; cut down on your salt intake and watch out for hidden salt; season your food with lots of fresh herbs and spices; eats fruits and vegetables, healthy oils like olive oil; eat lean protein including fish with omega 3’s like salmon, shrimp, halibut; eat nuts-walnuts, peanuts, almonds; enjoy a little bit of dark chocolate and alcohol. Try green tea if you haven’t already. Green tea is delicious and has so many health benefits for your brain and your body! Decrease your intake of sugar! Of course, we recommend you check with your physician. So, before we get busy exercising our brains, go grab some water, green tea, hot cocoa with a handful of walnuts, almonds, blueberries, or perhaps strawberries. Of course you know by now that I’ve got my cup of green tea and a handful of dark chocolate covered almonds. Now we’re ready! Try using the letters BLA and create as many words as you can. Gather the family and make it a fun family activity. Word Beads are fun and enjoyable for people of all ages. Have fun and share your word lists with us! 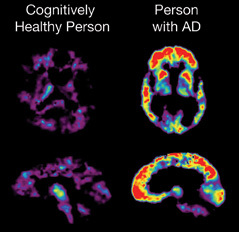 Posted on January 20, 2011, in Ageing, Aging, Alzheimer's, Alzheimer's Disease, Anti Alzheimer's, Anti Alzheimer's Disease, anti-aging, baby boomer, Baby Boomer Activities, baby boomers, Baby Boomers Activities, Brain, brain challenges, brain fitness, Brain Food, Brain Foods, brain games, brain health, Brain Maintenance, Brain Plasticity, brain teasers, brain training, breathing, breathing techniques, Build Brain Power, cognition, cognitive health, cognitive reserve, cognitive skills development, cognitive training, Dementia, executive function, executive functions, exercise, FAMILY ACTIVITIES, FAMILY GAMES, Games, grey matter, health, health and wellness, Health benefits of spices, Healthy Aging, Healthy Eating, healthy heart, Healthy Living, Healthy spices, heart, Improve brain function, Improve Memory, Improve Thinking Skills, judgement, judgment, learning, lifelong learning, Longevity, memory, memory exercise, memory exercises, Memory Loss, memory training, mental exercise, Mental fitness, Mental Stimulation, mind challenges, mind fitness, mind games, neuroplasticity, Prevent Memory Loss, problem solving, processing speed, puzzles, reasoning, Senior Activities, Senior Fitness, senior health, Spices, Spices for brain health, Spices to promote brain health, stress, Stress Management, Stress Reduction, stress relief, thought flexibility, THOUGHT FORMULATION, thought organization, Word Games, word play, Word Puzzles and tagged Ageing, Alzheimer's disease, Anti Alzheimer's, Anti Alzheimer's Disease, anti-aging, Baby boomer, baby boomers, Blood pressure, brain, brain fitness, brain health, brain plasticity, Cognition, cognitive reserve, Conditions and Diseases, dark chocolate, Dementia, executive function, Family activities, Family activity, Family Games, Fitness, green tea, Grey matter, health, health and wellness, healthy aging, Healthy diet, Heart disease, Hypertension, judgment, longevity, memory, Memory Loss, mental fitness, mental stimulation, Neurological Disorders, neuroplasticity, Olive oil, Omega-3 fatty acid, Physical exercise, Prevent Memory Loss, problem solving, Research, Senior Fitness, senior health, Stress, Stress management, Walnut. Bookmark the permalink. 1 Comment.